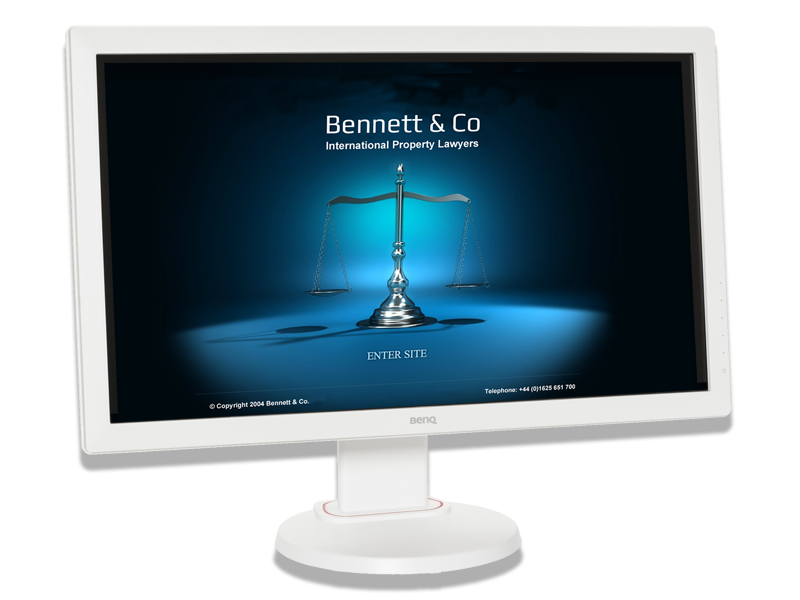 Bennett & Co Solicitors have a unique selling point in that they specialise in just one area of law - international property. Based in Manchester, they have more than 20 years experience in international property purchase, ownership and sales. Their multi-lingual team will help you each step of the way to owning a property abroad and can also deal with complex issues such as international inheritance laws and tax planning. 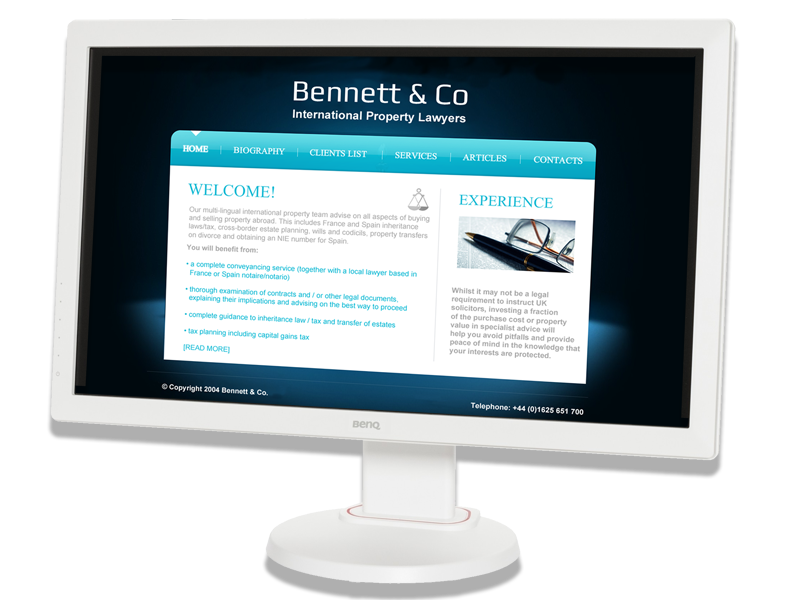 InForm Web Design acted as a web agency for Bennett & Co Solicitors, developing their online presence with a website promoting their considerable expertise in international property purchase. A key requirement of the site was to take visitors on a journey through the purchase process, highlighting procedures, key activities and providing an interactive purchaser checklist. I'd just like to take this opportunity to thank you for all your hard work over the last few months. The web site has been very well received by our existing clients and has generated more new clients in the first two months than we ever anticipated. The site was developed using the Drupal Content Management System (CMS). We chose Drupal for this implemetation as it met the functional requirements for the proposed site perfectly. It enabled rapid prototyping, is highly customisable and allows for organic growth. Most importatntly, the staff at Bennett and Co were comfortable with the editing features, allowing for in-house updating of much of the site's content. We also implemented a Google AdWords PPC campaign which we managed as part of the support agreement.